OLYMPIA, Wash. – For the second week in a row, the Oly Town Artesians scored five goals in the fourth quarter to cut into their opponent’s big lead. But Bellingham United’s 9-1 lead early in the third quarter proved to be enough and the Artesians fell to the Hammers 11-8 in front of a standing room only crowd at The Pavilion at Evergreen on Saturday night. Greg Wolfe recorded a brace for the Artesians scoring the lone goal in the first half and adding another late in the game. After Bellingham took an eight goal lead at the 10:35 mark of the third quarter, Brendan Rosgen, Brett Stallworth, Kyle Wiese and Tanner Allison answered with a four goal run to make it a four goal game at 9-5 with 9:20 left to play. After Bellingham broke the run on a goal by Richard Henderson at the 8:30 mark, Jake Sanford made it a 10-6 game with 7:26 left. 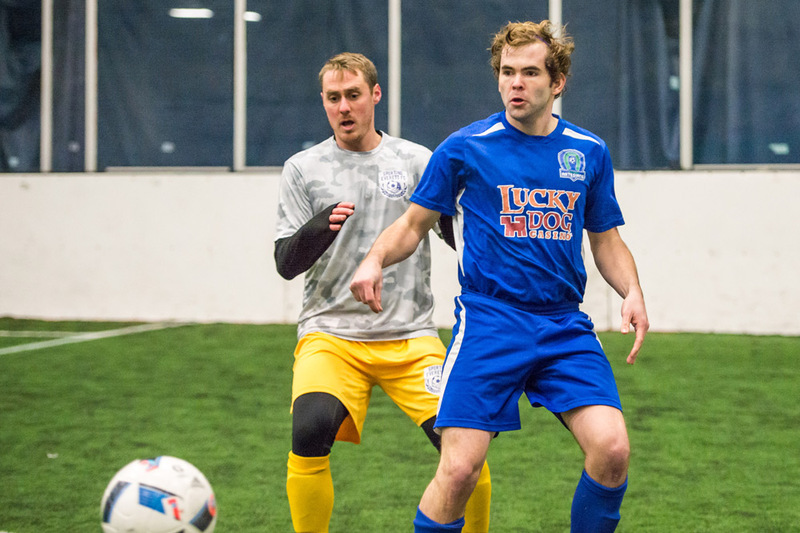 Wolfe and Nate Boatright each scored in the final 30 seconds of play but it was too little too late and Bellingham held on for the 11-8 win and moved to 4-1-0 in Western Indoor Soccer League play. Bellingham was led by a pair of hat tricks from Tyler Bjork and Henderson. Oscar Jimenez scored twice and Brendan Quilici, Kurtis Pederson and Kenny Parker each added goals for the Hammers. The Artesians (1-4-1) scored goals on all three of their power play opportunities and only committed four fouls the entire game. Bellingham converted on their lone power play of the evening. These two teams meet again next Saturday night in Bellingham. First kick at the Sportsplex is set for 7:30 PM.